An overseas company contacted me about an issue with drying copper wires. Their production process utilized fourteen wire drawing machines in their facility. They could make very fine wire in the range of diameters from 0.2mm to 2.6mm. Some of their drawing machines were able to make a maximum of sixteen wires at the same time. Each wire is made by a process of drawing and annealing. 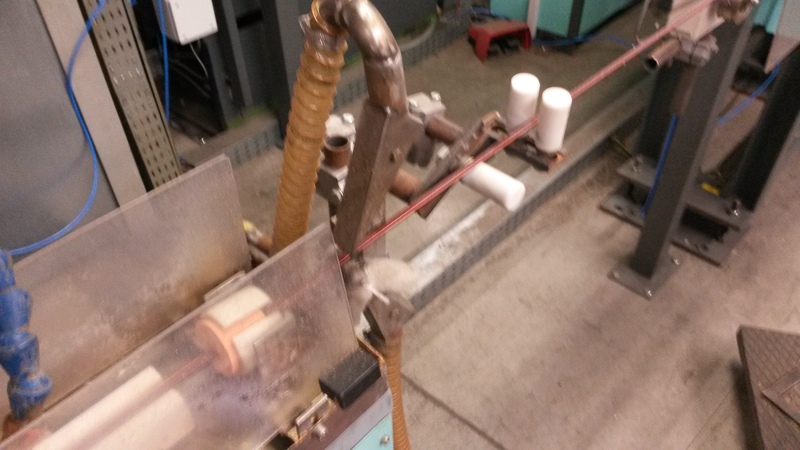 The machine will draw a thicker copper wire through dies that will get progressively smaller in diameter. Before the material goes through the dies, the copper is annealed to make it ductile and workable. Annealing is a process of heating to make the material softer. In this application, once the wire was to the correct diameter, it would go through a coolant bath to cool and harden. To remove the coolant from the wires, it would travel over a set of drying cloths. From there, the wire would travel out of the drawing machine and into a spooler. The spooler places the wire onto a spool for packaging and shipping. 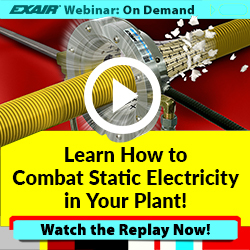 The reason that they contacted EXAIR was because the wires were not properly dried before it went to the spooler. If any coolant was left on the surface, it would corrode the wires in that area. They needed a better way to dry the wires because they started to receive complaints from their customers. When the company first contacted me, they had an interest in the Super Air Wipes. The Air Wipes are designed to blow air in a 360 deg. pattern around the wire to dry the entire surface. But, after getting more details about their process, the sixteen wires were coming out of the drawing machine at 1.75cm apart. With the gap between the wires being so small, the Super Air Wipes would not be able to fit around each wire. As another engineered solution, I recommended the Super Air Knives Kit, model 110212. The Super Air Knives are 12” long (30.5cm) to span across all sixteen wires. The kit includes a filter, regulator, and shim kit to accommodate different forces for different wire speeds. The Super Air Knife can blow a laminar flow of air consistently across the entire width. Air, as a fluid, likes to “hug” the surface. Since the air stream isn’t turbulent, the contact time along the surface of the wire will be much longer; making it very effective at removing liquid. I had the customer mount one Super Air Knife above and one Super Air Knife underneath, spanning across the entire row of wires. They were positioned at a 45 deg. angle to blow in the opposite direction the wires were traveling. Being compact, the Air Knives could be placed at a close distance near the drawing machine to blow the excess coolant back into the machine. This would keep the floor clean and safe from coolant collecting on the ground. So, no matter the diameter of wires being drawn through the machine, the Super Air Knives would be a non-contact way of drying the surface without having to use the drying cloths which were inconsistent and had to be replaced often. If you require a non-contact way of keeping your product clean and dry, EXAIR has many products to tackle this. No matter how large or small of a profile, we can efficiently and effectively accomplish this. You won’t have to replace items that wear or cause damage to your product by improper contact. EXAIR has the ability to use compressed air to create a strong force without scraping or scratching your material. 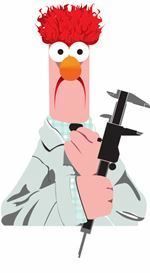 Those of you who are frequent readers of the EXAIR blog (we appreciate your loyalty and fine taste, by the way) probably know a little something about our Efficiency Lab. This is where, upon request, we will perform a controlled test of a compressed air product that you’re currently using, and provide a comprehensive report, comparing it to a suitable EXAIR Engineered Compressed Air Product. It’s a service that we provide at no charge, and to “sweeten the pot,” our goal is a 24-hour turnaround on the testing, from the time we receive your product. For some folks, however, seeing is believing…and sometimes, critical elements of a particular application just can’t be duplicated in our facility, so a “real world” trial becomes the only way to find out for sure. That’s where our 30 Day Unconditional Guarantee comes in. If you’ll commit the time to give us a try, we’ll commit to allowing you to do, risk free. 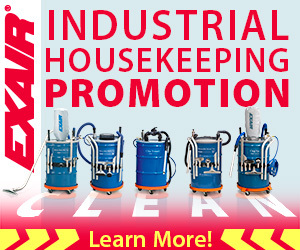 Give any EXAIR catalog product a 30 day trial, risk free. Air Wipes come in sizes from 1/2″ to 11″. 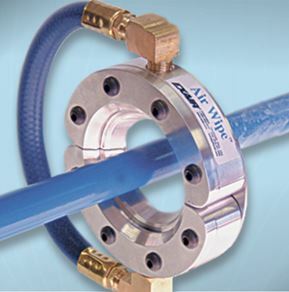 The Air Wipe’s 360° converging flow provides for positive contact with the material, which uniformly wipes the entire surface with high velocity air. Its split clamshell design also eliminates the need to thread the material through it. Air Amplifiers entrain enormous amounts of “free” air, at ratios of up to 25:1! The Air Amplifier’s compressed air consumption is lower, its operation is quieter, and it’s less expensive. After trialing both a Model 2430 ½” Aluminum Standard Air Wipe and a Model 120020 ¾” Super Air Amplifier, the Air Amplifier proved itself out, and became their standard offering on this machine. For 31 years now, EXAIR Corporation has established and maintained a formidable reputation for being easy to do business with. In Application Engineering, we support this by committing to making sure you get the most out of our products. If you have an application, or an idea, you’d like to discuss, give us a call. We can’t wait to find out how we can help.